President Trump’s meeting has rekindled his decades-long admiration for dictators. 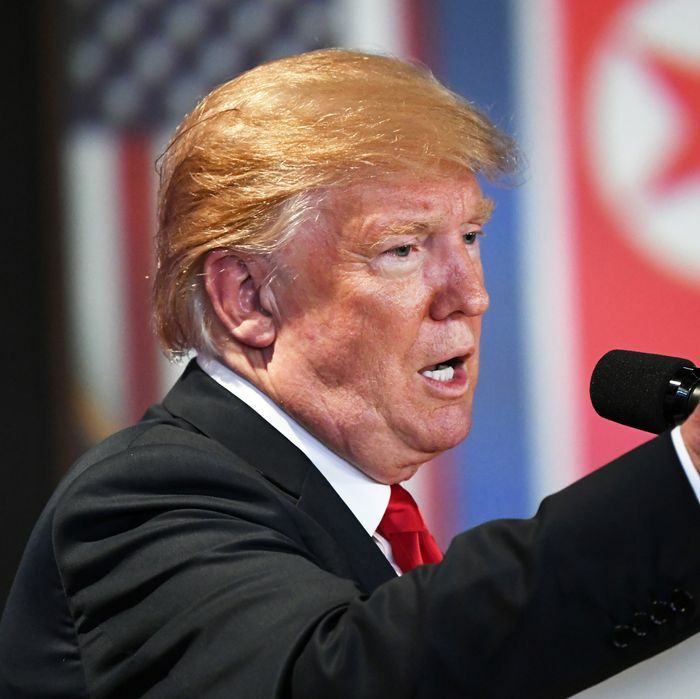 The Washington Post reports that Trump privately expressed admiration for the friendly treatment Kim Jong-un gets from North Korean state television. “At one point, after watching North Korean television, which is entirely state-run, the president talked about how positive the female North Korean news anchor was toward Kim,” the Post notes. While saying this, Trump gestured to the building behind him, implying that Trump meant his staff, not the entire country. Even by this more generous reading, Trump is waxing enthusiastic once again for the governing style of the world’s most ruthless dictators. Kim’s staff treats him with displays of extravagant deference because any member of his ruling circle he suspects of disloyalty will be brutally executed. Trump’s ultimate insult is “weak.” By calling him “strong,” Kim received his ultimate compliment.